A limo is a limo, right? Wrong. Every limousine doesn’t have to be a standard stretch in black or white with gray or tan seating. The sky’s the limit, so why not pimp your limousine? No matter what the limousine’s for, there are always ways to customize it to ensure riders are amazed and never lump your limousine in with all the rest. We’re proud to take an everyday limousine and turn it into a work of art. Imagine seeing your dream limo come to life. It’s just like that, except your dream can now become a reality. The first step is the exterior. Try a custom paint job to instantly make your limousine stand out. You don’t have to settle for just black or white. Try pink, blue, green or even add flames down the side. Changing up the wheels or using chrome door handles and mirrors are all options to pimp out any limousine. Get creative. The first thing anyone sees is the exterior. Why stop at the exterior? As you can see in the image, you can do almost anything with the interior colors. Add polka dots to the seats or make the seats wavy instead of standard. Add in custom interior lighting to set the mood. Create a custom floor to match your seating. After all, if you’re going to pimp your limousine, you need an interior that any rider will instantly remember. It’s not just about what people see, but also what they hear. Don’t let riders settle for bad sound or a low-resolution TV. Put in the best systems possible. You could even build in a digital jukebox system. You can even pimp it out more by adding a few TVs or a sound system that changes lighting to the beat of the music. Think of how you’d want your own home to look and sound and go with that. If possible, add in streaming options so it’s easy for people to find their favorite songs, shows or movies. A standard beverage bar is just boring. Change the colors and shape of the bar to stand out from your seating and floor. Add in custom glassware and a colorful mini-fridge. You want your bar to be as exciting as the rest of your limo. Don’t let it just blend in. Make it even more incredible by offering a wide variety of beverages to suit the tastes of anyone riding in the limo. If you’re buying a limousine for your business, you want something that also makes anyone riding in it remember your brand. Add some logos or incorporate a symbol of your business into the exterior or interior. For instance, if your hotel’s logo has an eagle on it, add large eagle inlays into the seating or even on the doors of the limousine. When done right, your branding becomes an integral part of the design and impresses anyone who sees it. The key to pimping any limousine is to think unique. For instance, who would’ve thought about a stretched out PT Cruiser? Take a look at some of the customizations possible to get an idea of just how unique your own limos could be. Don’t limit yourself. 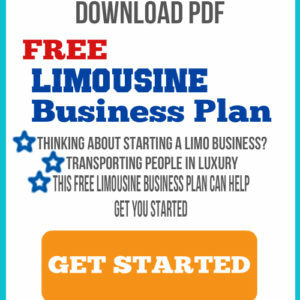 You can start from scratch and stretch a specific kind of vehicle or take your standard black stretch and turn it into the ultimate pimped out limo. Do you still have a bland limousine that isn’t nearly as special as you’d like? Sit down and think of how you’d like your limo to look. Let your imagination go wild. When you’re done, you’ll wonder why it took you so long to pimp your limousine and turn it into the stunning limo it was always meant to be. Got a limousine you want pimped out? Contact American Limousine Sales to start on your custom limo today.